Self priming. Soft noise. Snap in port fittings. This water pump from Flojet is a must when using water from your holding tank. The unit itself is low maintenance unit that is self-priming and is dry running. Flojet 12 Volt Marine Water Pump 2.9 GPM Triplex 03526-144A 1 (One) Flojet 12v Fresh Water Pump Model # 03526144 / R3526144* ---12V DC - You canNOTPlug this into the wall of your house as that is 110v/115v/220v power and will damage this unit. ---4.4 Amp Draw @ 10 PSI ---2.9 Flow GPM ---50 Pressure Switch Max PSI ---Yes Bypass ---SelfPriming ---Dry Running ---Soft Noise Absorbing Mounts ---Snapin Port Fittings ---Built-in Bypass : Less Pulsation ---Reduces need for accumulator tank ---Corrosion Resistant Materials ---Motor:Permanent Magnet, Ball Bearing Totally Enclosed. CE Models are fully suppressed. ---Pump: Three chamber diaphragm design Self-priming up to 9 feet suction lift; Pump able to run dry without damage ---Meets ISO 8846 (Ignition protection) ---These items are purchased in bulk quantities so there is no retail box. 04406143A Flojet Self-Priming 12V DC 3.2 GPM Fresh Water Pump W/ 35PSI Shut Off. MFG# 20409043 UPC# 705474901128. Service Kit. 04325143A Flojet Marine Heavy Duty Deck Wash Pump 4.5 Gpm 40 Psi 12 Volt 6 Amp. This is an unused FloJet water pump model number 4405-145. Serial number 93295269. 12VDC boat wash down pump. Heavy duty. Has rubber mounting pads. Perfect for wash downs, showers, sinks etc. Size about 9"L x 3.6". Flojet R3426-148 water pump. "Authentic", Fully automatic pump, self priming suction. ON/OFF switch on board version. Jabsco 31395-9592 PAR-MAX pump identical connections & operation. ON/Off on pump. Flojet Quad Diaphram pump kit 320403-040. Rated. 65 liter - (21.5 fl oz). Has internal pressurized bladder. On Demand Water Pump System. ForRVs, Water Systems Pump. Automatic pressure switch to pump water as required. Normalized SKU: 04406143A. Bypass: Included. Port Type: 1/2" Hose & 1/2" Thread included. Amp Draw: 3.9 (amp). FloJet 12V DC, Pump, Motor 4306-500, 3.2 GPM - USED! In good used condition! Still works great! (Shelf D15). Normalized SKU: 04406043A. Quiet Quad Water System Pump - 115VAC. Bypass: Included. Port Type: 1/2" Hose & 1/2" Thread included. Amp Draw: 0.4 (amp). Flow Rate: 3.3 US Gallons/Min (12.5 Litres/Min). Part Number: 04406143A. Manufacturer: FLOJET. Type: Constant Pressure Pump. It also has a built in filter to screen out debris. Boat part number 1023031 is a NEW white plastic water pressure regulator flange from Flojet, part number 01750145C. Manufacturer: Flojet. We're your port for thousands of hard to find boat parts, original manufacturer's parts and marine surplus. Flojet Electric Pump. North Salt Lake City, Utah 84054. New Flojet deluxe water system / deck washdown pump. Premium quad series pump. Part number 04305144A. For 12V DC systems. Ideal for cleaning leisure boats, fish boxes, anchor chains, and dinghies. Strainer Cover for 1720, 1740, 46200 & 46400. For models 1720, 1740, 46200 & 46400. Qest thread inlet and a Direct plug-in quad port outlet. One new Flojet Water. MPN: gb539104565. It has 1/2". Authorized Flojet Dealer. Fast & Free Shipping! Part number 02840100A (2840 series). Integrated pump and tank system. Describe the nature of the problem and its urgency (include pictures if possible). This item has a 2 Year warranty covering any manufacturer defects. New Flojet water system / deck washdown pump. Premium quad series pump. Part number 04405143A. For 12V DC systems. Ideal for cleaning leisure boats, fish boxes, anchor chains, and dinghies. 3.3 GPM (198 GPH) flow rate. Self-priming diaphragm pump with 12v DC electric motor. Volts: 12v. Port Type: 1/2" Hose and 1/2" Thread included. Quick-connect plug-in ports for easy installation. Amp Draw: 3.9 amp. Commonly used by PowerQuest Boats. Vendor: PowerQuest. Manufacturer: Flojet. Part number: 2230. 1/2" inlet x Quad. We're your port for thousands of hard to find boat parts, original manufacturer's parts and marine surplus. Upper Housing Kit. WORK QUICKLY TO RESOLVE ALL MATTERS TO YOUR. 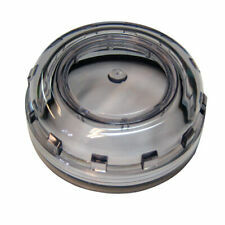 New Flojet Inline Strainer #01740014. 1/2" MPT x 90 Degree Quad. Up For Sale. Flojet 4105 shower drain pump is a self-priming diaphragm unit with a 12V motor. only minimal use for school project like new. Being offered is a water pressure regulator as described in the title and Shown in the photos. Please note that we do not ship internationally. Self-priming ability allows the pump to be installed up to 6' above the bilge. Also includes an inline strainer with 3/4" HB connections. (4) Liquid like maintenance products. (3) Paint and chemicals. Each regulator has a built in filter to protect your water from debris and particulates. and these should be considered sold AS IS. This is simply unfair and wrong. They have trained people that will know if it has been used. Brand new item still sealed in original package. Kit model: 02095116 Vacuum Switch .375 HB base. The package is a little beat up.